In case you’d didn’t get the memo, the lobster roll is as hot as ever. 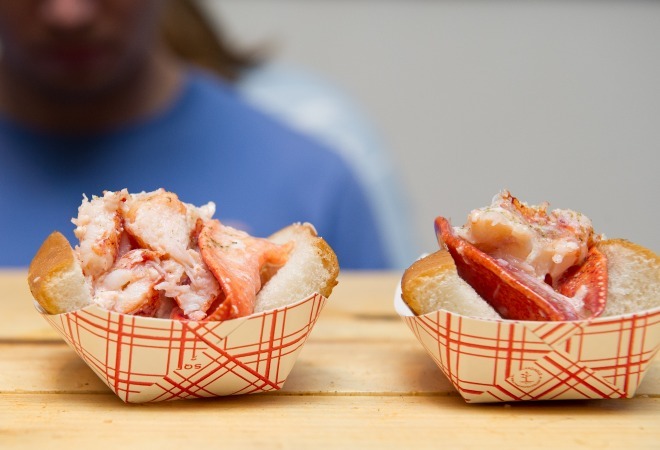 Tasting Table is bringing back it’s Lobster Roll Rumble for a second year on August 1 at Downtown’s Cooper Design Space. Fourteen lobster roll contenders from around the country will be offering their take on the New England classic, including L.A. restaurants like B.P. Oysterette, The Strand House, Fishbar, The Lobster, Santa Monica Seafood, and Cousins Maine Lobster. You’ll also be able to score local desserts from Short Cake, Donut Friend, Churro Borough, and Cremé Caramel L.A, plus a portion of ticket sold will go towards Share Our Strength’s No Kid Hungry campaign. The only question remaining: butter or mayo?